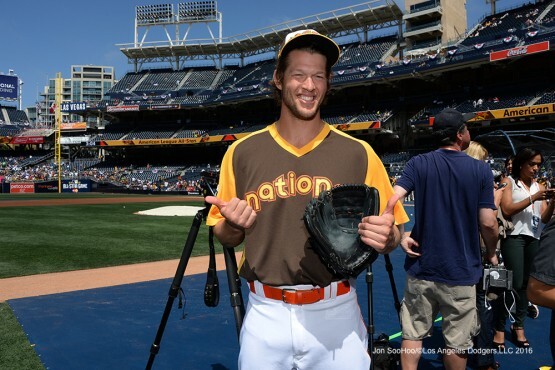 Who will represent the 2018 Dodgers at the All-Star Game? A year after they sent six players to the MLB All-Star Game, it’s more likely than not that the Dodgers will rely on the “every team gets a guy” rule simply to get one player to Washington D.C.
We still have nearly two months before the game is played (so you can question why I’m even writing about this right now), but if I were to make a prediction about who the 2018 Dodger All-Star will be, I might just pick a guy who has played in only seven games so far this year: Clayton Kershaw. 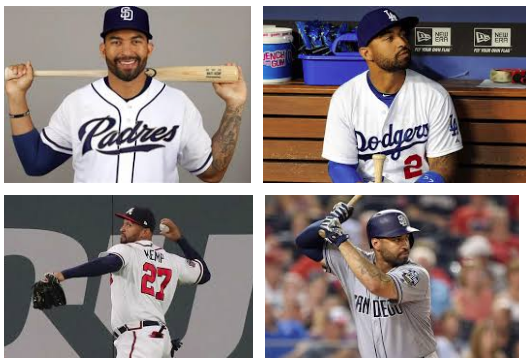 So by all appearances, Matt Kemp — the once prodigious if not prodigal son –is going to Spring Training at Camelback Ranch, and it got me wondering about how complicated is the composition of the Dodger roster. So here we are, back in Los Angeles for a guaranteed three games in a row in the meaty midsection of the National League Championship Series. 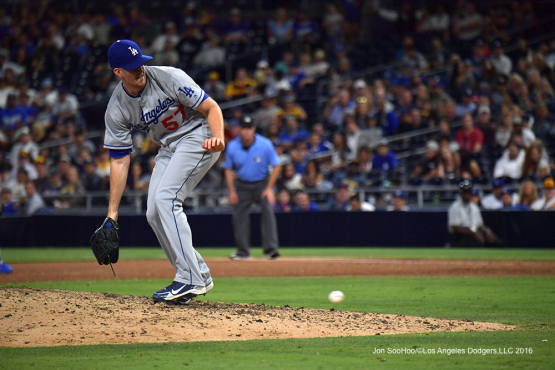 Among the pitchers that puts into play is Alex Wood, the left-hander who has thrown four big-league innings since May, when he went on the 15-day disabled list with left posterior elbow soreness that led to (relatively) minor elbow surgery. Wood retired 11 of the 13 batters he faced in the final two weeks of the regular season, allowing only a single and a walk while striking out four with one double play. But he was left off the Dodgers’ National League Division Series roster, meaning that he has gone another 16 days since appearing in a game. So, a little antsy … ? 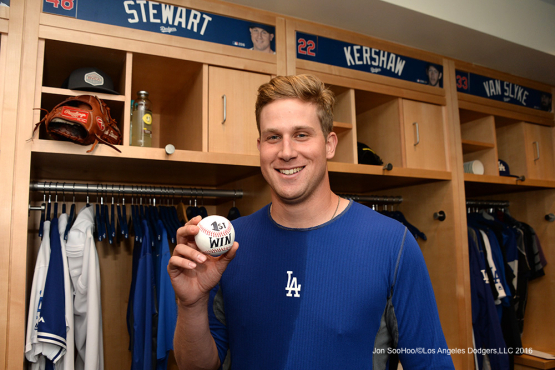 Left-handed pitcher Alex Wood and infielder-outfielder Kiké Hernández have been added to the Dodgers’ official roster for the National League Championship Series, replacing Austin Barnes and Charlie Culberson. 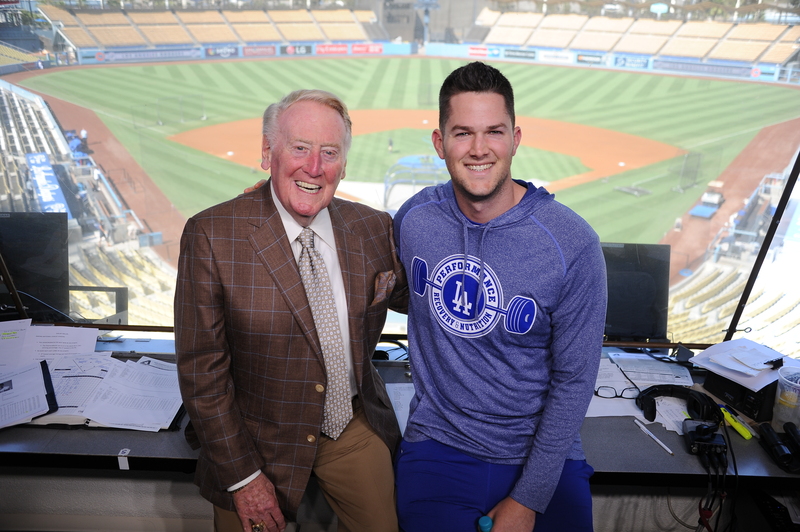 Wood gives the Dodgers an extra pitcher for the best-of-seven series, which could include games on three consecutive days Tuesday-Thursday in Los Angeles. In addition, there is a chance of rain this weekend in Chicago, though it looks most likely to come in between Games 1 and 2. 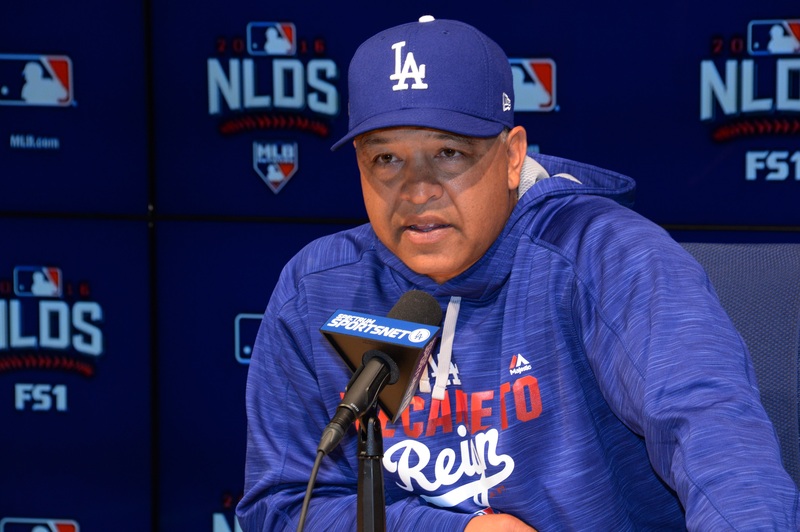 The departure of Barnes removes the luxury of a third catcher for the Dodgers, though in two of the five National League Division Series games, Dave Roberts already showed he was willing to go down to use his last backstop off the bench with multiple innings to go. Hernández replaces Charlie Culberson, who went 0 for 7 in the NLDS. 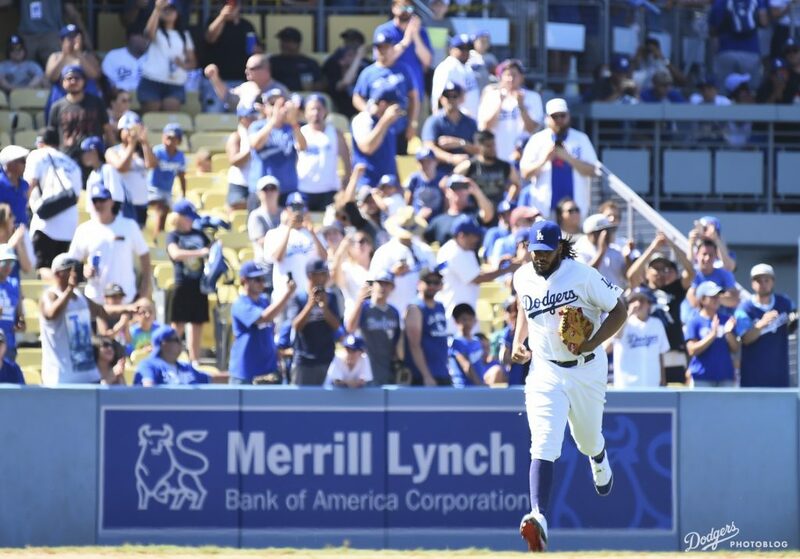 Hernández has a single, triple and homer in 12 career at-bats against Game 1 starter Jon Lester, with the homer being the only run the Dodgers scored against the Cub left-hander in 15 innings this year, as Eric Stephen of True Blue L.A. pointed out. 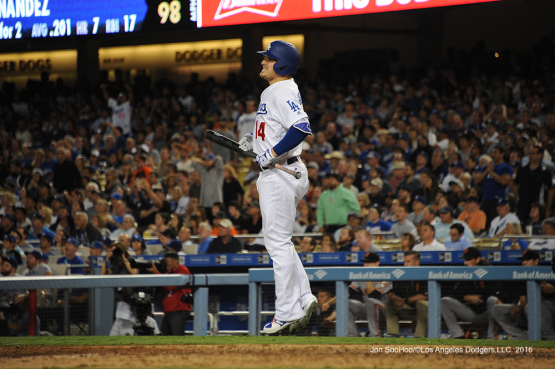 The Dodgers faced several hard choices in coming up with their 25-man roster for the National League Division Series — and to some extent, the specific matchup with the Washington Nationals served as a tiebreaker. Out of action since May 30, Alex Wood has been activated from the disabled list by the Dodgers. 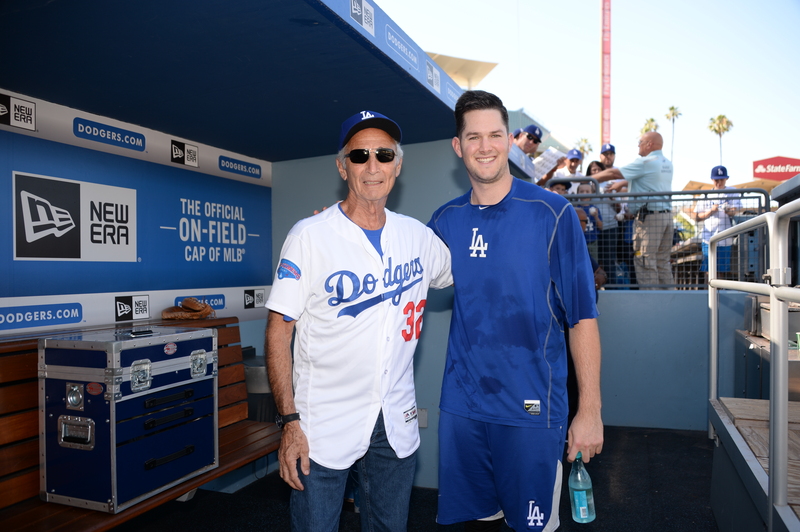 For Alex Wood, it’s eight more weeks of winter. 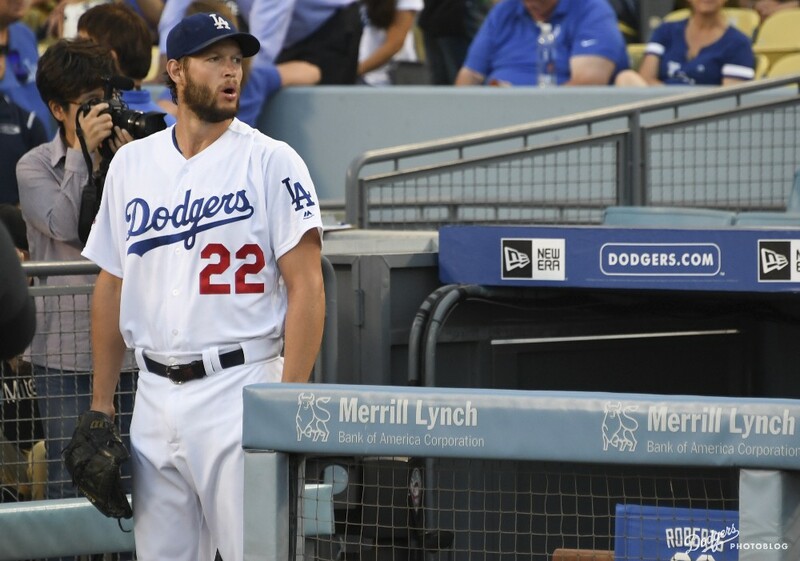 For the Dodgers, it’s a little bit more like Groundhog Day. Wood is undergoing an arthroscopic debridement of his left elbow today in New York, the Dodgers announced, with an estimated recovery time of eight weeks. The 25-year-old lefty is the third Dodger starting pitcher this week to suffer a setback, following Clayton Kershaw and Hyun-Jin Ryu. Wood went on the disabled list May 31 with left posterior elbow soreness. He has a fielding-independent ERA of 3.27 and at the time of his original injury was 10th in the National League with 9.9 strikeouts per nine innings. 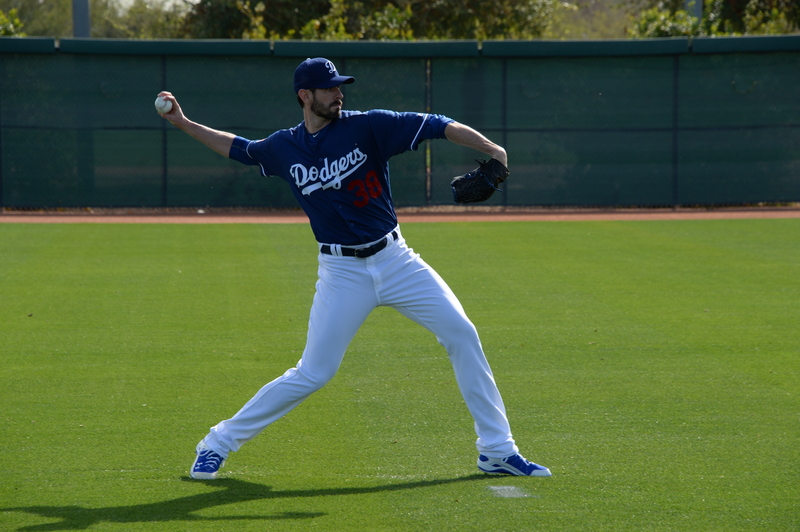 Rehab news glowing for Kershaw & Co. It was an absolutely lovely day at Dodger Stadium today. Mild warmth. A refreshing breeze. 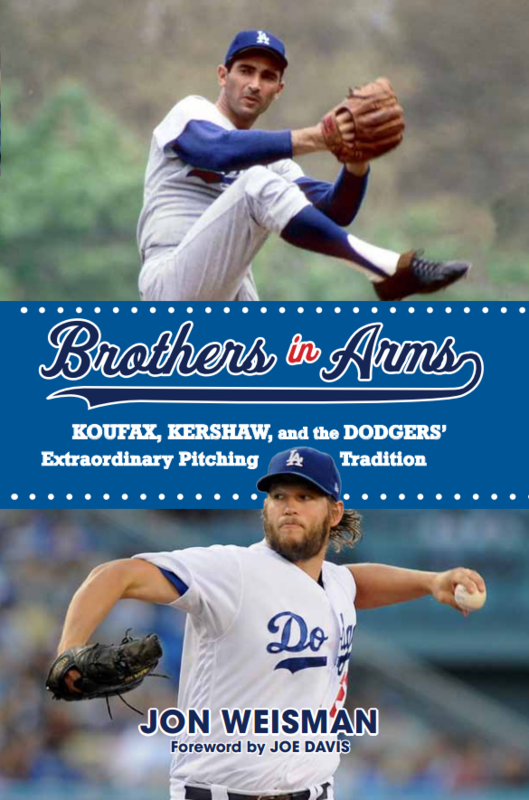 As the shadows made their way across the field at the 5 o’clock hour, Clayton Kershaw and Brett Anderson emerged from the clubhouse and played catch. And it wasn’t tentative. It was glove-poppin’, “we mean business” catch. While more Dodgers trickled onto the field for an informal workout tonight, the last night before returning to action with a 10-game road trip that begins Friday at Arizona, Dave Roberts spoke to reporters about the state of several injured players — Kershaw, Anderson, Joc Pederson, Alex Wood, Andre Ethier, Yimi Garcia. And everything was just about as glowing as that magic late-afternoon sunlight. Alongside Yosuke Nakajima, McCarthy leaves his final 2015 start. 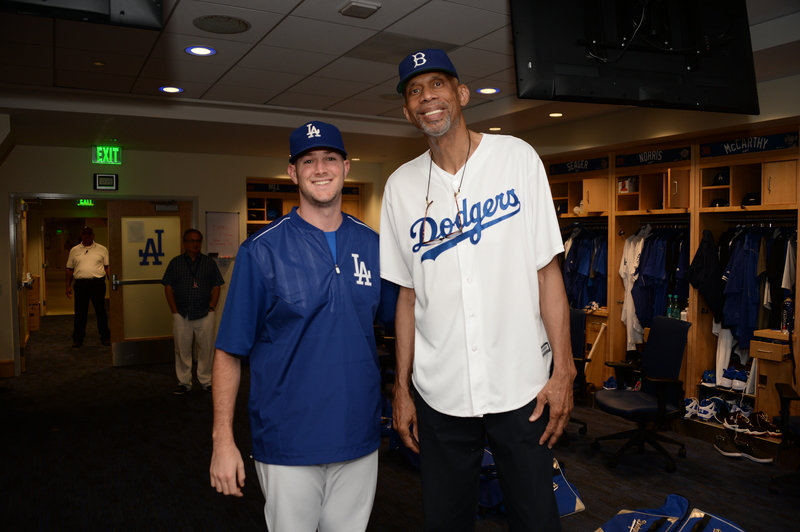 Brandon McCarthy is starting Sunday for the Dodgers. Not the Oklahoma City Dodgers. Not another Dodgers farm team. 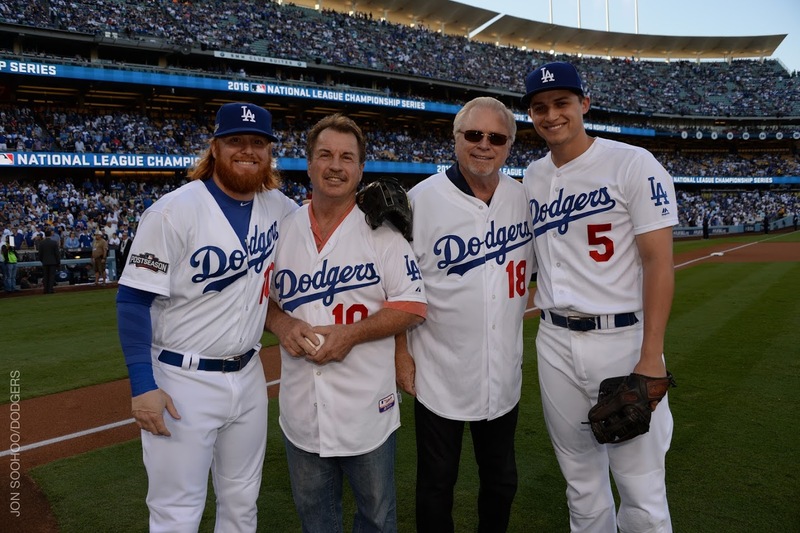 The Los Angeles Dodgers. 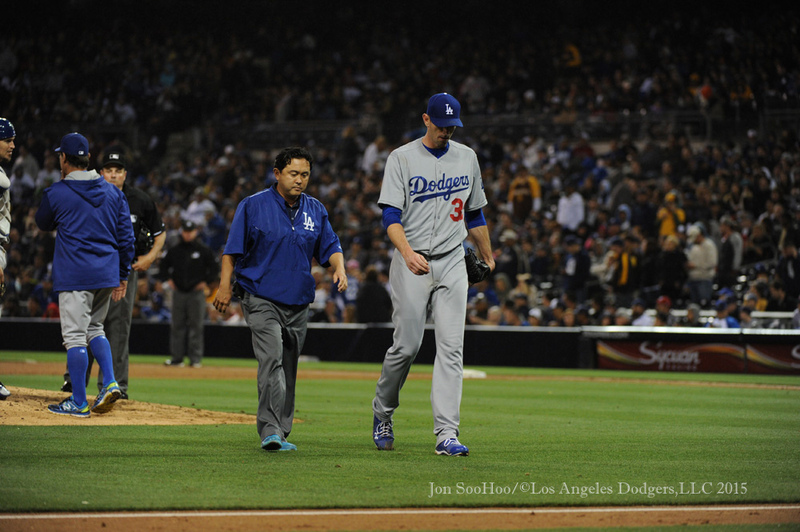 McCarthy last pitched for the Dodgers on April 25, 2015, shortly before he was diagnosed with a torn ulnar collateral ligament in his right elbow. The expectation at the time was that he would be out until July 2016, and here we are. “He’s a full go,” Roberts said. “We kind of sped it up a little bit because of the circumstances, but Brandon’s excited about getting back and being active, and we expect him to pitch well on Sunday. Julio Urías, whose turn in the rotation was to come Sunday, will instead make an Independence Day start on five days’ rest.